Worry not! This is not a movie review. No secrets are being revealed. 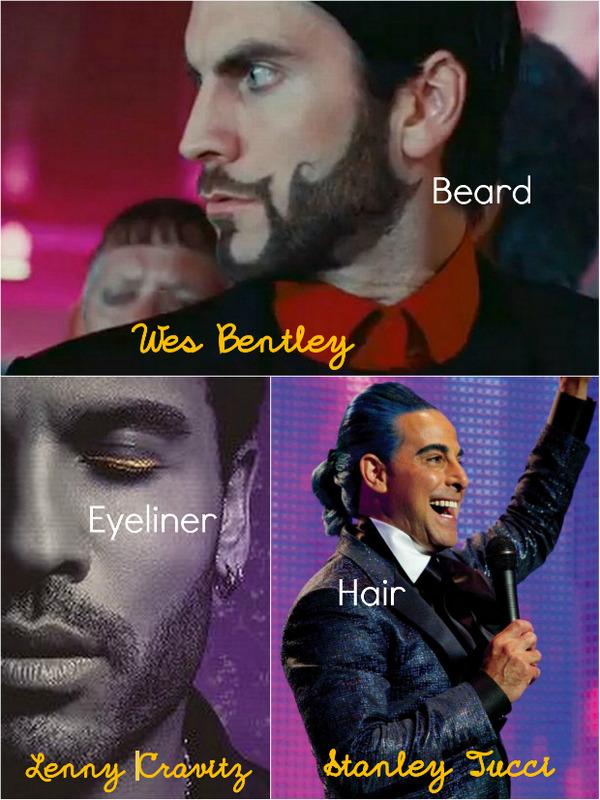 Without giving away much about the movie and letting it be enjoyable for everyone who will be watching it, I just want to share my "fashionable" observations from the movie. To say the least, I am absolutely smitten and amazed by the styling of the characters in the movie. This must have been a picnic for ll the stylists, as definitely one doesn't not get a chance to experiment so much in usual commercial cinema. And after much google-ing for the last few hours, since I returned from the movies, I have learnt that their design of fashion had been making waves for a while and I am only catching up to it now. Forgive me, I am not a Hunger-Games-Groupie! 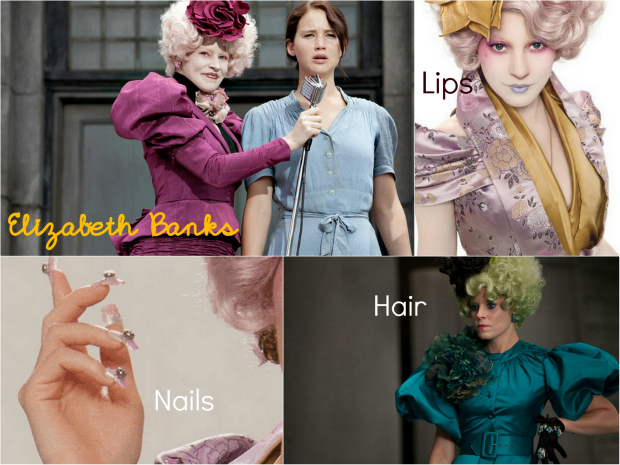 One person who would stand out in the movie, in terms of styling is Elizabeth Banks. She actually looks like a character out of one of Tim Burton's movie. Think Johnny Depp in Alice in Wonderland meets Charlie and the Chocolate Factory, but in a gown. Quite stylish and she carries it really well! The men in the movie were extremely fashion forward. - Look at the intricate beard deisgn, I wonder if there is a stencil he used, else I can't even begin to imagine the time it would take them to maintain it everyday. - Blue hair. Cute pony tail. Personality of Stanley Tucci. AWESOME. Enough said! 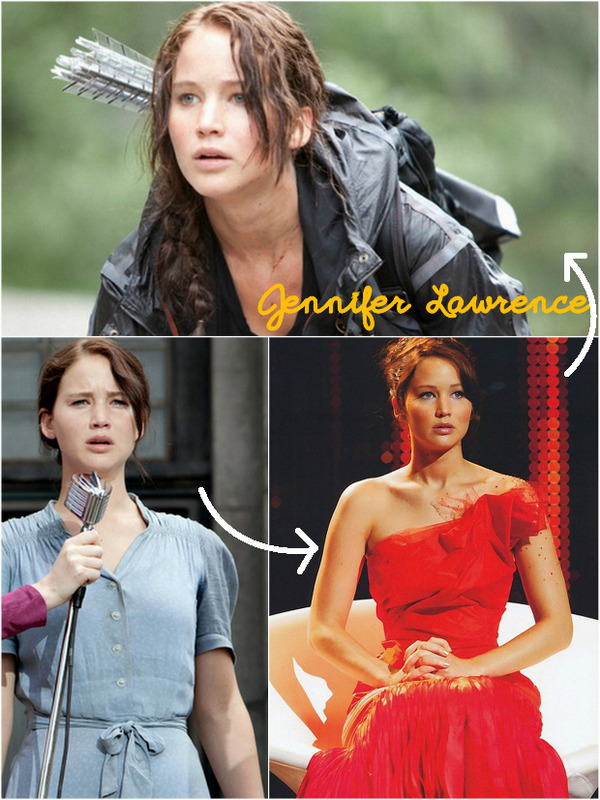 Jennifer (girl crush! *sigh! 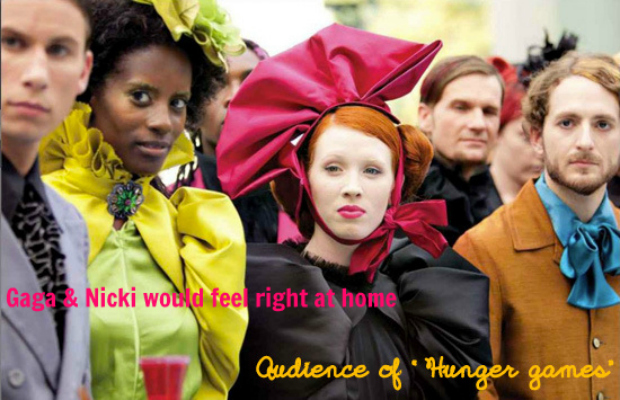 *) aka Katniss and the people from her district are the only ones who dressed like normal people, i.e. like us, i.e. like boring! When sharing screen time with Elizabeth Banks, she looked like, how-I-feel-like while watching MTv Awards -> Out of place! Although she looks absolutely drop-dead-gorgeous in that red dress with stick-on-crystals on her left shoulder. 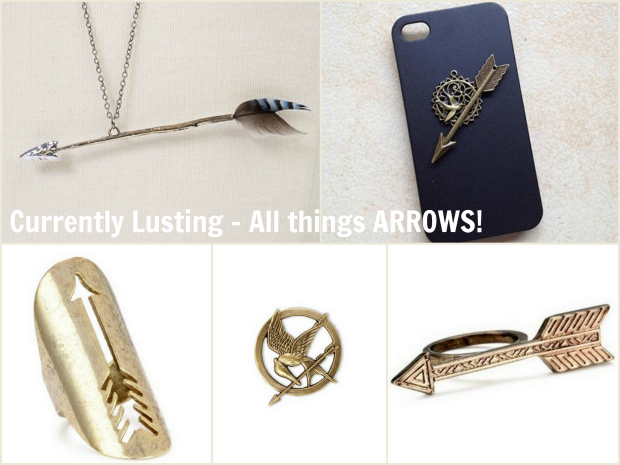 except that now I am obsessed with all things arrows. Thank you for reading & Have a good weekend, y'll!